Performers include: James Drury, Doug McClure, Lee J. Cobb, Gary Clarke, Roberta Shore, Pippa Scott, Ross Elliott, Frank Sully, John Bryant , Randy Boone, Harper Flaherty, L.Q. Jones, Clu Gulager, Diane Roter, John Dehner, Charles Bickford, Don Quine, Sara Lane, John McIntire, Jeanette Nolan, David Hartman, Tim Matheson, Stewart Granger, and Lee Majors. This show’s Western storyline is based in part on a Owen Wister novel and takes place in Medicine Bow, Wyoming. 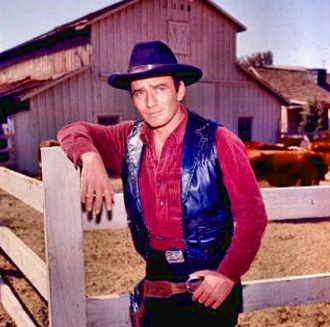 It follows a ranch foreman (James Drury) who is known only by his nickname, The Virginian. He works tirelessly on Shiloh Ranch to maintain and keep order. Shiloh Ranch was originally owned by Judge Garth (Lee J. Cobb) and his daughter Betsy (Roberta Shore), then changed hands a few times to the Grainger brothers (Charles Bickford and John McIntire), and finally ends up under the ownership of Colonel Alan McKenzie. Young and wild Trampas (Doug McClure), musical Randy Benton (Randy Boone), and Steve Hill (Gary Clarke) work as faithful ranch hands. Once Colonel McKenzie takes over Shiloh, the name of the show changed to The Men from Shiloh, as the series was completely revamped. The show includes appearances from several famous guest stars such as Bette Davis, George C. Scott, Myrna Loy, and Ricardo Montalban. Why was the Virginian taken off insp during the week day’s? I really enjoyed watching this show. We agree, Karen, it was our favorite.. I ask the question about the show “The Virginian”, I was like the title of the show and the guest cast. Thank you very much!!!!!!!!!!!!!!!!!!!!!!!!!!!!!!!!!!!!! Hi Nancy I’m from New Zealand we haven’t had the Virginian here in years we bought the Bonanza series on DVD and found season 2 of the Virginian then finally got season 1 it’s a pleasure to watch them I’m a big fan of Gary Clarke you should try the DVDs then you can watch them whenever you want too. Happy viewing.Carol. Why did this series get cancelled. It was the best. I watched it every day. It was the reason I added Ecore to my Time Warner account. These old black and whites are terrible. Please add it back on daily.